As much as I strive to be zen, and detached from the technological world - no TV, I make very few phone calls, my phones ringer is only set to vibrate - I also love social media. I have a personal facebook account - I am toying with one for the paddling otaku world - a twitter account, and I am an active redditor. And while I hike and travel and cycle, I am truly a kayaker at heart. In fact it is even a little more niche than that. I only paddle long touring kayaks, I don't dabble in whitewater or racing sculls, or surf skis or rec boats. But I am regularly depressed by how little of the social media world is directed towards true touring kayakers. Is this section of the kayaking conversation so small that we warrant so little attention? Today I read the current copy of Outside magazine because they had an article on social media. There were exactly zero links to any social media that pertained to kayaking. I even went to what outside listed as the number one gear related site - Outdoor Gear Lab - which does look like a great site, but do a search for the word kayak on their site and you get zero items returned. Gear institute, another recommended site has - much to my surprise - a paddling section. 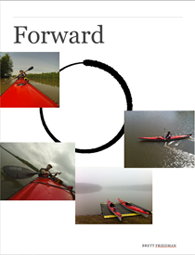 But when I clicked on it, it offered a review of one canoe, and one kayak (and whitewater at that). Another article in the same magazine touted '63 perfect things, our favorite trips, gear, booze, events, addictions and more'. You guessed it, zero directly related to kayaking. And just for the record I don't need wine made by Clif - of clif bars - for it to be considered 'portable'. I started drinking whiskey as a young man because it packed in so efficiently. Outside agrees with me, because they also offer a flask as a 'perfect thing'. About a year ago I emailed 'the Gear Junkie' Stephen Regenold - who also writes for outside - and asked him why he didn't do more reviews related to kayaking. His response was honest, I just don't kayak that much. A search of his site does show that he kayaks occasionally, as he has reviewed a fair amount of kayaking equipment. I must also say he does the best reviews following Outdoor Retailer. Now, when I say kayaking I am referring directly to kayaking. A kayak. A drysuit. A paddle. A type of dry bag. I do appreciate a good tent or sleeping bag review, as those are products I use a lot. But why does kayaking get so little time? I find it very interesting that when we see kayaking in the media it is almost always whitewater - which in terms of participation has had negative growth the last five years, while recreational kayaking has had very good positive growth. I know that the answer to that question is of course, money. Fewer people buy expensive kayaks than expensive bicycles. And media caters to who spends the money. But I think there are more people that enjoy the outdoors the way I do than the 'media types' think. Here is what I am thinking. I don't think I have big enough readership to make this happen, but lets give it a shot. Post in the comments - or send me an email, what ever you want - A perfect thing (and how it related to kayaking) OR a kayaking related piece of social media. A link to a website, a twitter feed, a Facebook page or an app for your smart phone. If you want to post a piece of gear that doesn't directly relate to kayaking - like for instance the Gopro Hero HD2 - just tell me why it makes kayaking better. If you're a long time lurker, I am going to ask you to break your silence, and post something that you like. If I get enough responses I will do something fun with the links. As I was processing the first purchase of the compass rose - available in the store - I was asked to set the declination for the user. I realized I had never talked about declination in any of the plotting posts. So here is a quick description of what declination is, and why it's important. We are of course all familiar with basic maps, and I am sure we can all agree that the top of the page a map is printed on represents North. Likewise, South is down, East is right, and West is left. A compass has these directions too - of course - but the difference is how a compass actually works. The red end of the needle on the compass points to magnetic north, where as north on a paper map is true north. True North is the geographic top of the earth. 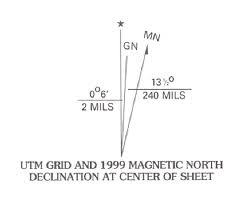 However magnetic north - which right now is located in North Western Canada - This difference is called declination. We need to take declination into account when ever a map and the real world interact. If we are using just a map, we don't have to worry about declination. Likewise, if we are using just a compass, we don't have to worry about declination. It's when we are using both together that we need to be careful. While it isn't difficult, it is where most navigational errors occur. Declination is recorded as a number of degrees, and either east or west. For instance, where I live the declination is 8º west. What this is saying is that the compass is pointing 8 degrees west of true north. So I have to account for it. If I am going to follow a compass bearing of 210º I want to add 8º to account for declination so I really need to follow a bearing of 218º. Some compasses - like the suunto m3d that I use - can set the declination so you don't have to do math. I know I need to add the declination because it is a WEST declination. If it was an East declination I would subtract it from my original bearing of 210º. This is where the rhyme 'East is least, West is best' comes from. This declination marking is showing 13.5º east declination. As represented by the angle labeled MN. When using a plotter like I created, you simply use the inner ring to give you your actual magnetic bearing. By making the change on the chart (or map as the case may be) you don't have to do any math when you're on the water. Hilsen mine norske besøkende! Det er en glede å ha dere besøke. Og om dette sier noe ille klandre google translate. Last year while I was prepping for Alaska I wanted to create a plotter that I could use for planning the navigation for the trip. I was amazed that I couldn't find what I needed online so I created a file myself, styled on a US Navy compass ring. What I created in Adobe Photoshop was a compass rose with both an inner and an outer ring. The outer ring was fixed and was numbered in 360 one degree increments. The inner ring also had 360 one degree increments but since it was on its own photoshop layer it could be rotated and set to any declination. You could then take the file to a copy shop - like Kinkos - and they can print it on clear acetate. Some printers and copy machines will also print on acetate. Put a string through the center of the compass ring and you can use it to plot courses on a map. As seen here. I have decided to offer this compass rose photoshop file for sale for $1.00 US. On the right side of the screen you will see a new page listed - Paddling Otaku Store - The link to pay for the compass rose is on that page. I will then email you the compass rose photoshop file. Time to start navigating. In the store you will also find a free link to download a float plan. This summer I used a free float plan from Sea Kayaker magazine, and it worked fine, but I thought it could be better. So I created my own, and I am making it available to everyone for free. Just head to the store page and there is a link to down load the two page PDF. 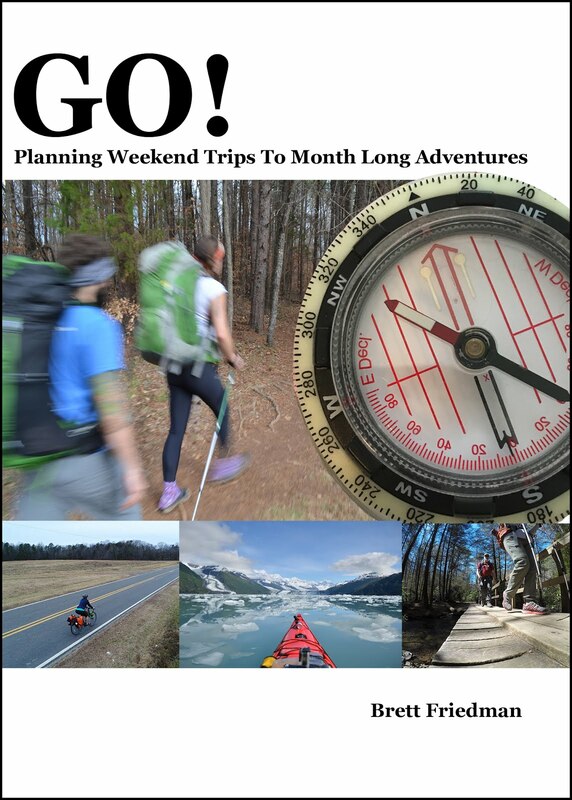 Print it as two sided and leave it with someone reliable on your next trip. As you can imagine I talk with people about kayaking frequently. A co-worker recently told me that the two most common words to leave my mouth are 'kayaking' and 'think'. Not necessarily in that order. I have mentioned before that there are really two types of kayakers in the world. The kind that know there is a correct way to paddle a kayak, and everyone else. A Brahman saw the Buddha resting under a tree in meditation. The Brahman was impressed with the Buddha's way. He asked, "Are you a god?" "No, Brahman, I'm not a god." "You must be a spirit then?" "No, I'm not a spirit," said the Buddha. This is how I view most kayakers. The Buddha was able to see the world the way that it truly was. 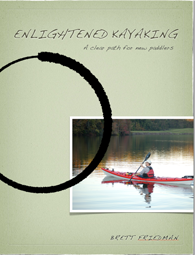 The Enlightened kayaker can see that as well - at least as it relates to kayaking. This is the reason that you study something, kayaking or anything else, to learn it, to know it inside and out. To be comfortable in a new environment. When you learn something new, you see how it's done, it can be like a light bulb being turned on in a dark room. The Brahman - which in Hindu is the highest caste - couldn't see the world the way the Buddha did. But don't take my word for it. Get in a kayak, and seek out instruction. From myself or anyone with skill. If you are here reading this then you already have a kernel of belief that there is a better way, and there is. "Do not give up your authority and follow blindly the will of others. This way will lead to only delusion." "Find out for yourself what is truth, what is real. Discover that there are virtuous things and there are non-virtuous things. Once you have discovered for yourself give up the bad and embrace the good."